Lowe’s Home Improvement Warehouse exterior. 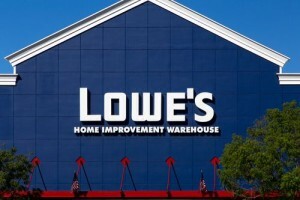 Lowe’s is an American chain of retail home improvement stores in the United States, Canada, and Mexico. As a Lowes hardware accident attorney in California, I know that Lowes Companies, Inc. is big business in the Golden State. The hardware, appliance and home improvement store operator has 1,140 stores in the United States, 40 stores in Canada and another 10 in Mexico. The company has plans to open another 150 stores in Australia under a different name. Lowes is number 50 on the Fortune 500 list, and only Home Depot sells more hardware, appliance and home improvement products than Lowes. Lowes operates 111 stores in California. Only Texas and Florida have more. As a majority shareholder, the company also operates more than 70 neighborhood hardware and backyard stores known as Orchard Supply Hardware that it acquired in 2013. Nearly all of those stores are in California too. Whether you own a single hardware and home improvement store in a small town or over 1,000 of them that are scattered across the country, it’s nearly inevitable that accidents are going to happen. These stores are packed with merchandise and machinery, and the store owners bear certain risks for which they can be held responsible. Personal injury attorneys are instrumental in keeping hardware and home improvement store owners alert and attentive to preventing accidents and compelling them to pay when accidents and injuries indeed do occur. Falling merchandise injuries are wholly and completely preventable. Store owners simply need to stack and display merchandise in such a way as it doesn’t fall onto customers from high above. Most slip and fall accidents are caused when a customer slips on a liquid or otherwise slippery substance inside of the Lowes store. Trip and falls are usually caused by merchandise or other obstructions in aisles or uneven surfaces. In a slip and fall, the victim ordinarily falls backward. In a trip and fall, they ordinarily trip forward. In either case, the victim wasn’t prepared for the fall. Very serious injuries can result. Whether it’s falling merchandise or a falling person, the law of negligence governs these types of cases. To prove negligence in a store injury case, the person claiming injury must prove the following elements. Failure to prove any single element will cause the negligence case to fail in its entirety. As big as Lowes is, accidents either happen on their property or thorough products that they sell just about every day. If you or somebody close to you has been hurt inside of a Lowe’s store or by a product that Lowes sells, contact a California personal injury lawyer who is familiar with how the company operates. Customers injured by the negligence of Lowes deserve fair and just compensation.